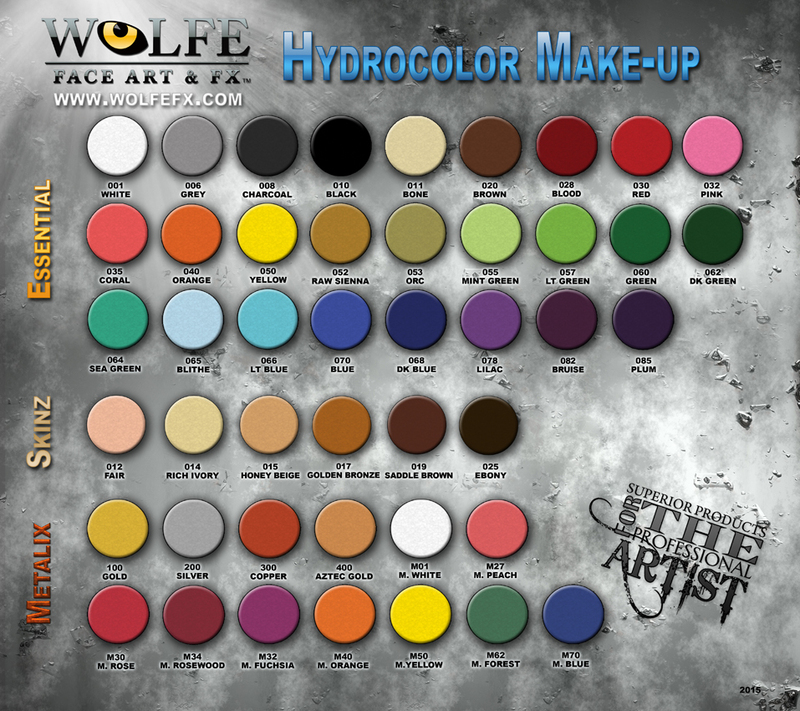 The Hydrocolor line consists of The Essentials (normal color palette) and Metallix (pearlescent make-up). Our Hydrocolors are bright, water activated, durable, comfortable, and easy to work with. They have dense pigmentation that provides you with maximum color, and since our Hydrocolors have a wax base they flow with movement instead of cracking. Hydrocolors are easy to apply, and are perfect for all of your artistic needs. Each square in the Hydrocolor 12 color palette contains approx .18oz (5g) of makeup. Colors in this palette are: White (001), Gray (006), Black (010), Saddle Brown (019), Red (030), Pink (032), Orange (040), Yellow (050), Lt Green (057), Sea Green (064), Blue (070), and Lilac (078). Click the button below to add the Hydrocolor 12 Color Palette to your wish list.